I have been working on this one for a little while now. 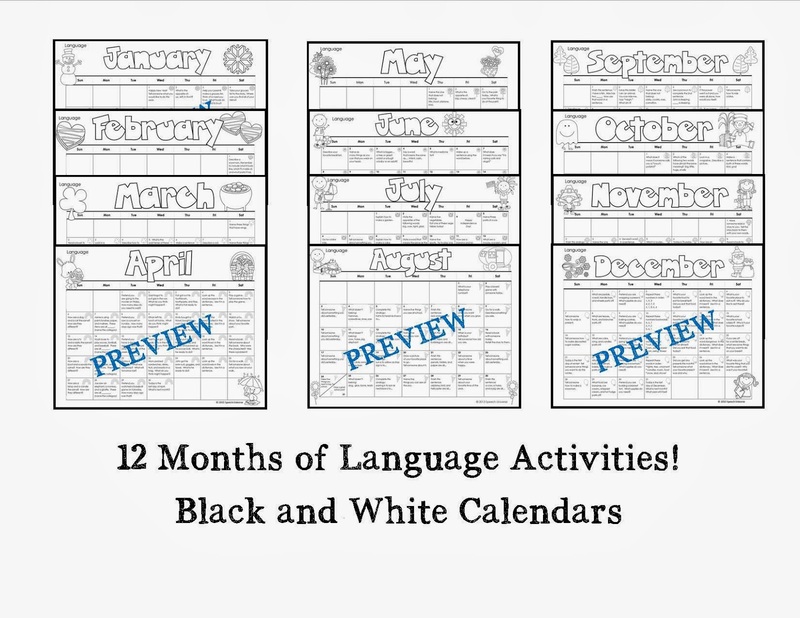 After I finished the articulation calendars, I knew that I wanted to also complete some language calendars to send home with my students. 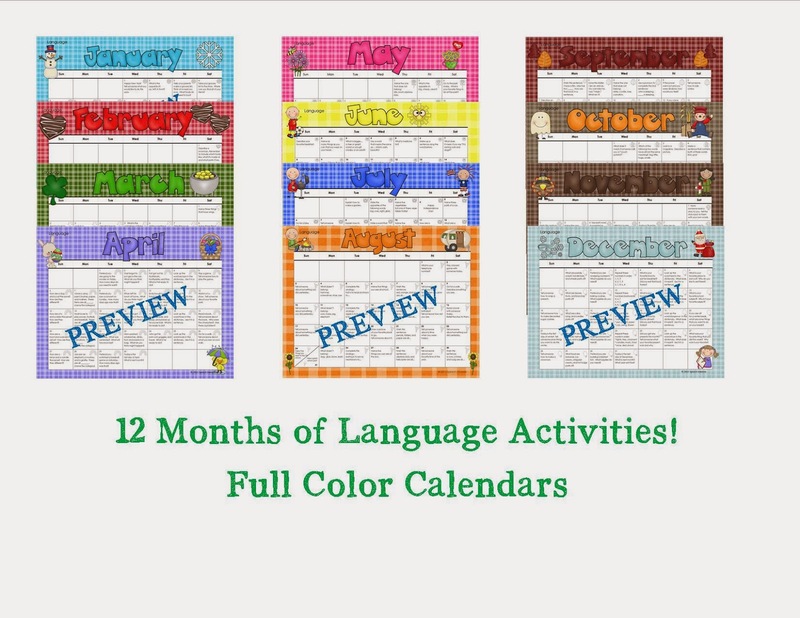 Well, I have finally finished these calendars, and I am so proud of how they turned out! I can't wait to share them! 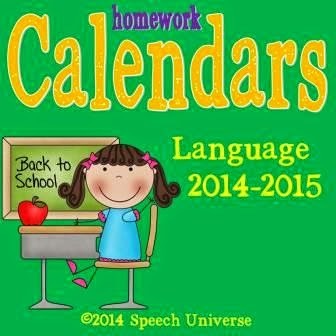 These are very similar to my articulation homework calendars. Each day has an activity that your student can complete with someone at home. 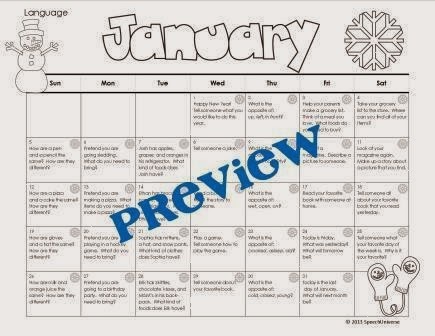 There is a small icon in the corner of each day for your students to color in as they complete the activities. 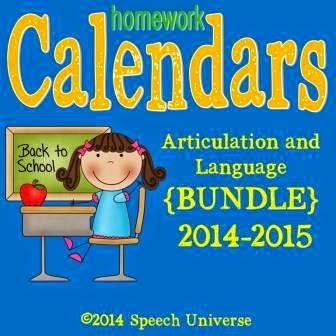 categorization, describing, story telling, analogies, idioms, synonyms, antonyms, plural nouns, past tense verbs, auditory comprehension for sentences, auditory memory, calendar vocabulary (yesterday, today, tomorrow, etc.). 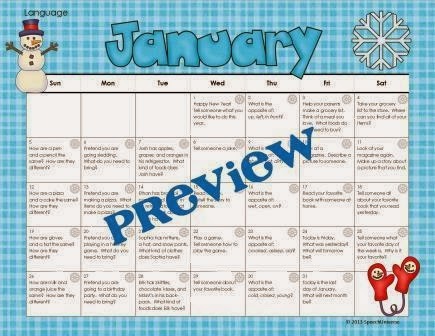 I also included a letter that you can send home, explaining how to use the calendars. 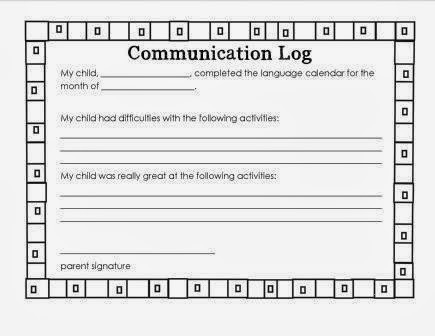 As an added bonus, I also created a communication log that can be sent home and returned at the end of the month to get feedback on how your student did with the activities at home. I have also decided to bundle these two products together for a 20% savings if you purchase both products together!